For the fifth time this year, the UFC brings us two events in one calendar day on Saturday, Nov. 8. As with the other four doubleheaders in 2014, the events taking place this weekend emanate from very different parts of the world. First on tap is UFC Fight Night: Rockhold vs. Bisping, coming to us from Australia’s most populous city, Sydney. By virtue of Sydney’s location on the other side of the international date line, UFC Fight Night 55 will air in the United States the evening of Nov. 7, but those attending in person will do so on Nov. 8. Headlining the year’s first Australian show is a middleweight clash between contenders Luke Rockhold and Michael Bisping, each of whom is looking to maintain his spot in the division’s top 10. Lightweights Ross Pearson and Al Iaquinta occupy the evening’s co-main event spot in what could be a real firefight, and middleweight Clint Hester looks to extend his professional winning streak to eight as he takes on New Zealand’s Robert Whittaker. Throw in a heavyweight fight between knockout artists Soa Palelei and Walt Harris and fans down under have a nice UFC card for their spring Saturday. UFC Fight Night: Rockhold vs. Bisping takes place at Allphones Arena in Sydney, Australia, with all 11 fights airing live on UFC Fight Pass. The preliminary card kicks off at 7 p.m. ET on Fight Pass, and the night’s main card begins at 10 p.m. ET. Combat Press writers Eric Reinert and Rob Young break down the action in this edition of Toe-to-Toe. 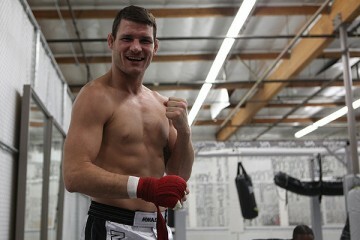 Michael Bisping has been on a rocky road lately. He’s a perennial contender and obvious headliner, but he hasn’t won two fights in a row since 2011. Based on that pattern, he’s due for a loss against Luke Rockhold in the UFC Fight Night 55 main event. 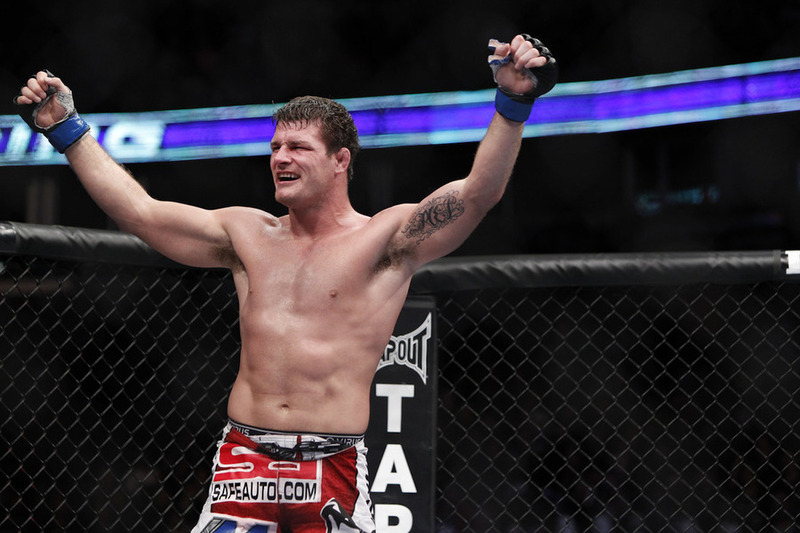 Can Bisping break the pattern and pick up a win? Would it be enough to put him one fight away from a title shot for the umpteenth time? Young: I wouldn’t pick Rockhold to win many UFC fights in the upper echelon at 185 pounds, and I don’t feel confident in picking him here either. Usually when Bisping loses to someone, it’s because they excel in one area, be it ridiculous knockout power (see: Dan Henderson, Vitor Belfort), an exceptional level of aggression that pushes the pace of a fight well past where he is comfortable (see: Wanderlei Silva), or the toughest avenue to take against Bisping, out-grappling him, which even a prime Chael Sonnen had a great deal of difficulty pulling off. Rockhold is pretty much the opposite of those men. He’s a well-rounded fighter with no real standout aspects to his game. The only path to victory for Rockhold would be to win a decision based on the volume of standing strikes, and that doesn’t seem too likely. 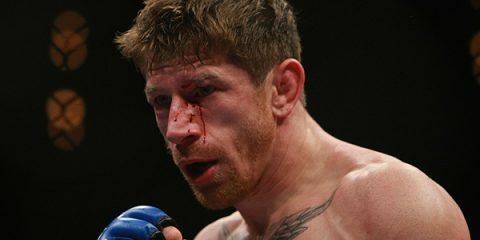 However, I didn’t expect Bisping to get smothered by Tim Kennedy either. This will be a technical stand-up fight at a measured pace, with Bisping taking a definitive decision win. Reinert: To be honest, I’m a bit surprised at Rob’s lack of confidence in Rockhold, given his 12-2 record with stoppage victories in his last two fights. Sure, he might not be known for one specific thing, but he’s absolutely demonstrated his excellence in all areas of MMA. 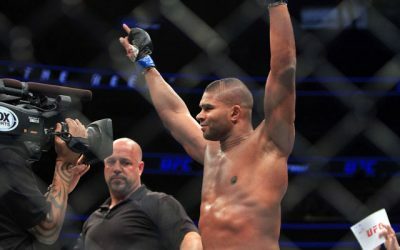 He annihilated Costa Philippou and Tim Boetsch, notched a decisive scorecard win over the aforementioned Kennedy (who defeated Bisping, as Rob mentioned) and remains the only man to have defeated Ronaldo “Jacare” Souza since 2009. Bisping’s last five fights, meanwhile, have been a win over Brian Stann (who retired less than a year later), a loss to Belfort, a technical decision win over Alan Belcher (who could not continue after a third-round eye poke), the decision loss to Kennedy and, most recently, a win over 42-year-old Cung Le (who had not previously fought for nearly two years). You’ll have to forgive me if I’m less than convinced he can get past a well-rounded guy like Rockhold who is presently in his athletic prime. “The Count” has certainly been able to maintain interest in this fight through his words, but the unbalanced betting line (Rockhold is currently -450 to Bisping’s +325 on Bovada.lv) is more reflective of the likely outcome of this fight. If you really think Bisping is going to pull this one off, that underdog line might be too tempting to pass up. Me? I’ve got Rockhold winning by TKO. Ross Pearson’s return to lightweight has resulted in a 3-1 (1 NC) run, but his fight against Diego Sanchez arguably should have been a win, not a loss, for Pearson. Is the Brit finally living up to his moniker of “The Real Deal,” or will he coming crashing back to Earth against Al Iaquinta? Reinert: Pearson sure does seem to have everything going in his favor for this one. 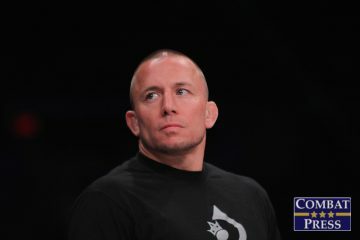 He’s coming off a TKO win over former longtime lightweight contender Gray Maynard and, aside from the controversial decision loss to Sanchez, has not been defeated since returning to 155 pounds in late 2012. At 30, he’s still got a few more years of peak performance left, and this fight with Iaquinta will be the opportunity to prove that his win over Maynard was no fluke. For the New Yorker standing opposite Pearson, the co-main event in Sydney represents his first chance to stamp a win over a “name” opponent. He might not be in the UFC’s current lightweight rankings, but Pearson is no joke, so if Iaquinta can get the better of him this weekend, the Serra-Longo lightweight will definitely find himself with another step up in competition. This would be a nice win for Iaquinta’s record, but it’s put-up-or-shut-up time for Pearson. He’s got the momentum and he’s demonstrated the skills. Now all he’s got to do is string together a few wins to earn his way back into the contender conversation. I predict an impressive finish for “The Real Deal,” and a subsequent return to the top 15. Young: Iaquinta has always struck me as a very tough, durable fighter with good hands, at least in terms of knockout power. He does seem to be vulnerable to submissions, however, which is puzzling considering where he trains and who he trains with. Pearson will have the edge in the stand-up department with his superior technique, though. He has indeed been on a tear ever since returning to the lightweight division after a brief stint at featherweight. After revisiting Iaquinta’s record to recall exactly who he looked so good against, I have to side with Pearson in this match-up. I’ll pick the Brit to win via decision. As expected, the UFC has stacked the weekend’s card with fighters from Australia and elsewhere in the South Pacific. Of that group of fighters, which, if any, has the best chance of emerging as a contender in his division (or at least as someone fans worldwide want to watch)? 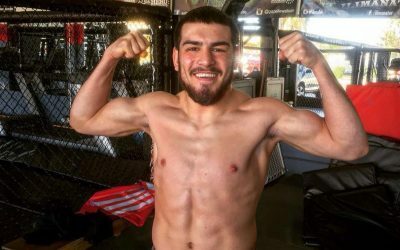 Young: The pickings in this department are incredibly slim as far as I can tell, but if I did have to pick one, it would be The Ultimate Fighter 17 semifinalist Dylan Andrews. His fights always tend to be entertaining. He seemed to have a good deal of potential, at least when he was competing in the reality show. He also has had nearly a year off since his loss to Clint Hester, so perhaps we will see an improved Andrews this time around when he meets Sam Alvey. 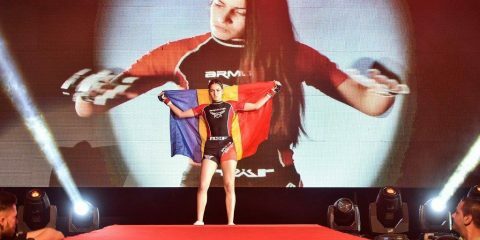 Reinert: I completely agree that there’s really no single fighter from the host nation and its surrounding area that we’ll see in title contention anytime soon (or ever), so I’ll answer this from the potential-for-stardom standpoint. 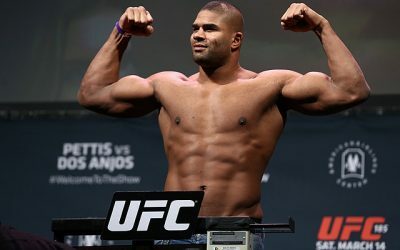 With three UFC wins by way of knockout or TKO (to go along with 14 others in his professional career), Soa Palelei could catch a Mark Hunt-like wave to greater acclaim if he’s able to rebound successfully from his decision loss to Jared Rosholt by defeating Walt Harris in Sydney. 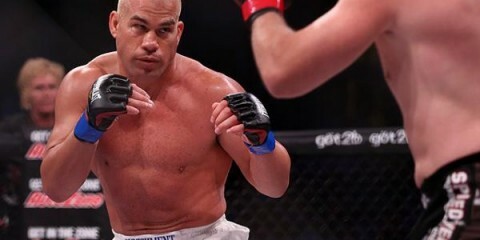 The heavyweight division could always use big-time strikers to inject a little excitement into the UFC’s events, and Palelei seems to fit that bill perfectly. One of the big question marks about Palelei is his age—he’s 37—but if he can continue to display the same sort of power that he has thus far in his career, he could find himself on the main card of a pay-per-view or a Fox show sometime in the near future. If you had to pick between this main card or the main card of UFC Fight Night 56, which one would you watch? Reinert: I’m going with Rockhold/Bisping, just due to the higher stakes. If Mauricio “Shogun” Rua defeats Ovince St. Preux on Saturday night in Brazil, it won’t have much impact on the title picture other than to maintain St. Preux’s current position outside of it. 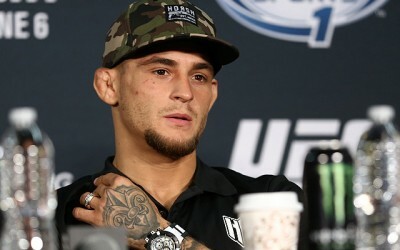 If OSP ends up winning, he’ll still probably need at least two more to get a title shot. On Friday night, though, a win for Rockhold would be his third straight, and if Chris Weidman is able to retain against Vitor Belfort early next year, he’ll be on the short list (with Ronaldo “Jacare” Souza) for the next shot. A win for Michael Bisping would not only mark the most significant victory of his career, but also let fans know that he’s not done with the UFC’s middleweight title scene. 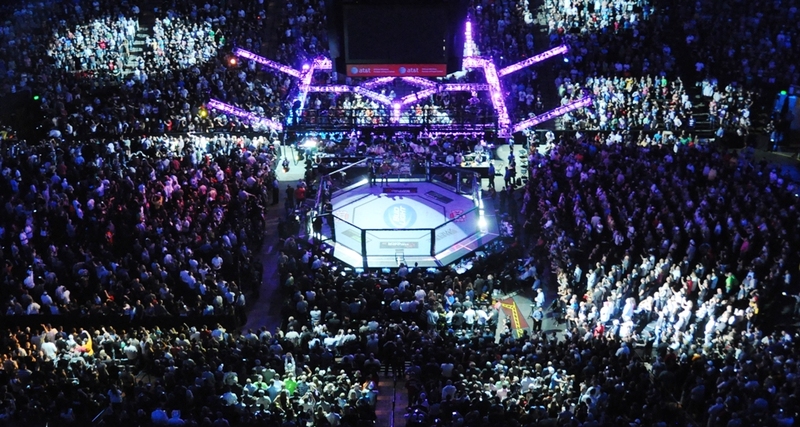 Both good fights, but UFC Fight Night 55’s main event carries more significance. Young: Outside of the main event, which Eric made a good case for, the event in Sydney only has one other truly compelling match-up in Pearson vs. Iaquinta as far as I’m concerned. The show in Brazil, however, has two: McCall/Lineker, which has the makings of a barnburner, and Warlley Alves against Alan Jouban, who was quite impressive in his UFC debut. Regardless of those secondary pairings, I am really not looking forward to seeing former champ Rua getting out-athleted by St. Preux in the headlining bout of UFC Fight Night 56. It’s just a terrible style match-up for Shogun, and that makes me sad. I guess both shows are kind of even, then, but I’ll give the edge to the Australian show. At least with Rockhold vs. Bisping there is a certain element of uncertainty as to how the fight will play out. Young: With the undercard ravaged by injuries, there are very few standout match-ups that I see. Out of all of them, I would probably pick Luke Zachrich vs. Dan Kelly. Kelly represented Australia in the 2012 Olympic Games competing in judo and has a perfect 7-0 professional record, albeit one high in aluminum content. 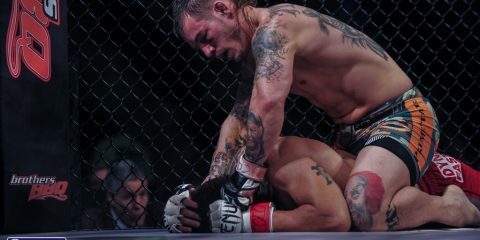 He did lose in The Ultimate Fighter: Nations tournament to the eventual finalist and runner-up, Sheldon Westcott. 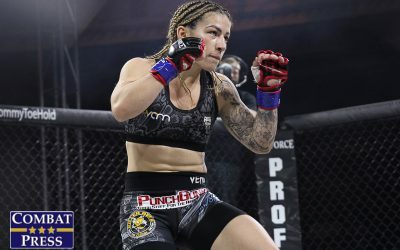 Kelly can bounce back from that loss with a win over two-time UFC vet Zachrich. Reinert: While I’m very tempted to go with Palelei/Harris due to its high knockout potential, instead I’ll travel down to the smallest UFC men’s division and pick the flyweight contest between Richie Vaculik and Louis Smolka. Vaculik is 1-1 in the UFC since making his promotional (and flyweight) debut last December. 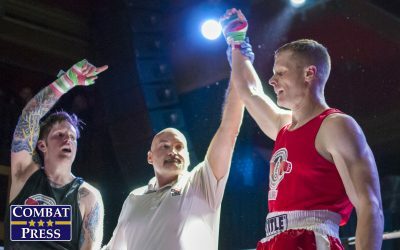 He lost that first fight to Justin Scoggins before rebounding with a win over Roldan Sangcha-an in June. Smolka made his UFC debut having never tasted defeat, and kept the streak alive by defeating Alptekin Ozkilic. Smolka faltered in his follow-up, though, losing a split decision to recent title challenger Chris Cariaso in May. 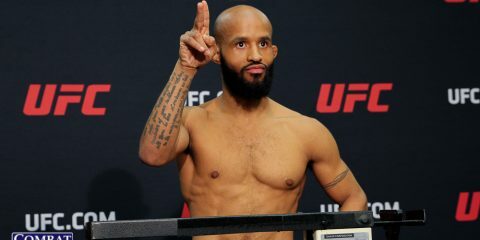 With the flyweight division as thin as it is—pun not necessarily intended—the fighters in its unranked portion have to know they’re just a few wins away from title contention. This is especially true considering Demetrious Johnson’s utter dominance of his opposition, so I’m hoping Vaculik and Smolka will act appropriately. Reinert: A carefully considered schedule. On one hand, a late Friday dinner, a few age-appropriate beverages, a comfy couch and this Fight Pass card would be a pretty nice way for MMA fans to recharge the ol’ social batteries after the insanity that comprises many people’s Halloween weekends. Then again, if they’re still itching to go out after a week at work or school, they could always wait until Saturday afternoon to view this one on Fight Pass and then transition right into Saturday’s live UFC Fight Night 56 card that evening. The weekend’s doubleheader provides fans with lots of options, so make your choice wisely. Young: Questioning the significance (or lack thereof) of our existence in the universe. At least that’s what I usually end up pairing these doubleheaders with upon the end of the second event. They really are quite fatiguing, especially when the majority of the fights are bad, which has more often than not been the case. Of course, then a great card like UFC 178 comes along and restores my interest in the sport. But man, these doubleheaders can be a slog.